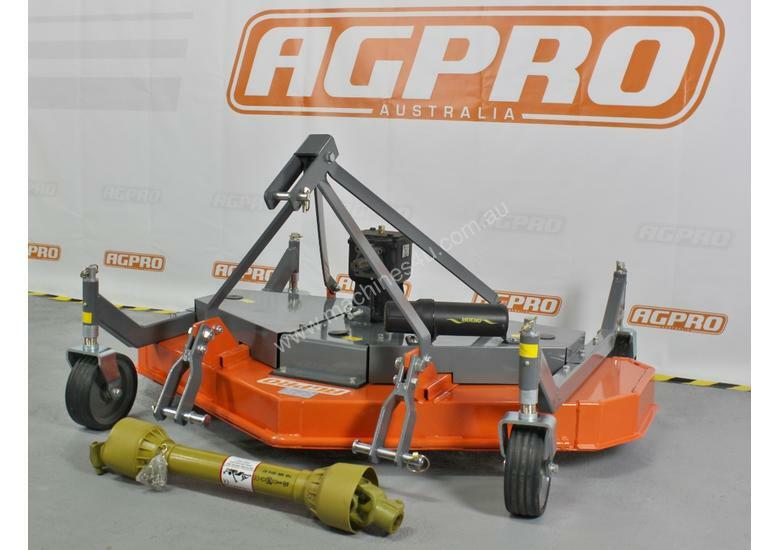 The AGPRO 4 ft Finishing Mower 120 model is designed and constructed with a tough durable deck and comes with rear wide discharge as standard on our finishing mowers for consistent discharge flow, 4 adjustable caster wheels for an even cutting height and ground contour clearance for that perfect even groomed cut lawn with the added advantage to be able to get close to those fence lines and garden beds as you would be able to achieve on a standard mower. 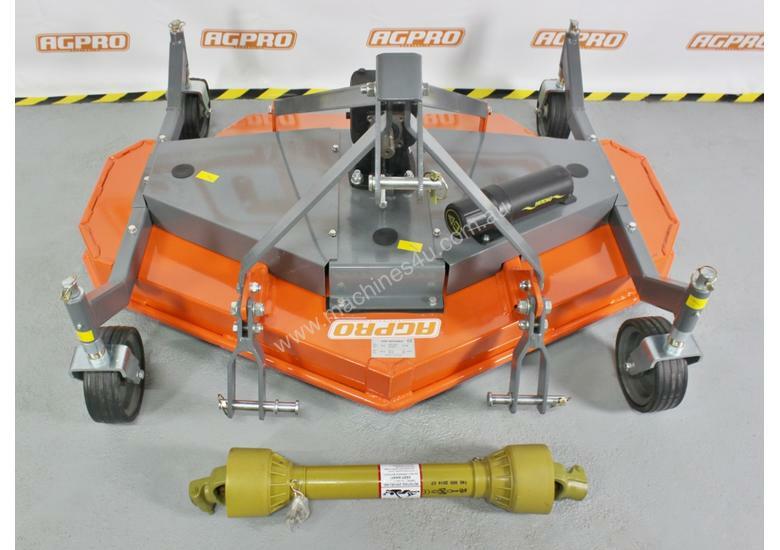 The 4 ft Finishing Mower is designed for versatility and suitable for maintaining parks and lawn areas with ground contour clearance operational system to achieve a perfect even groomed cut lawn. 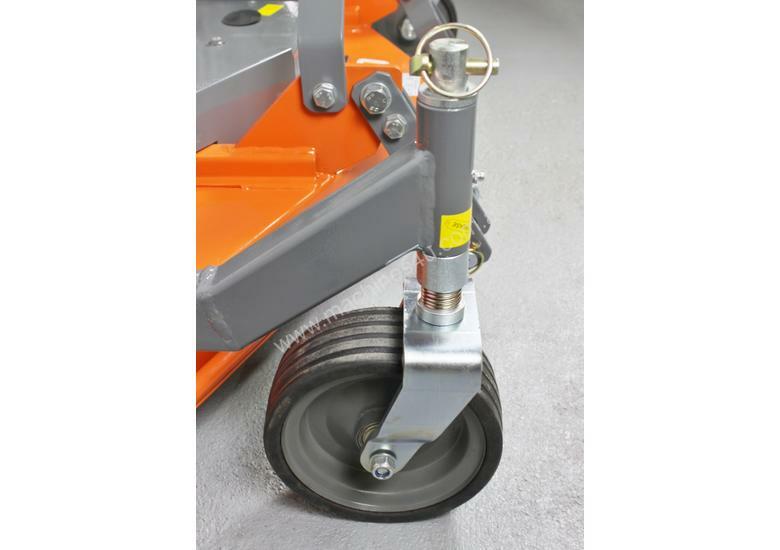 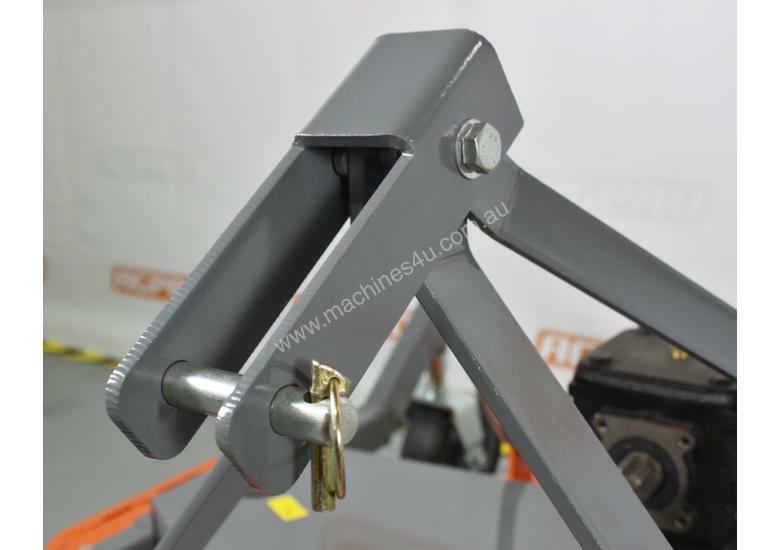 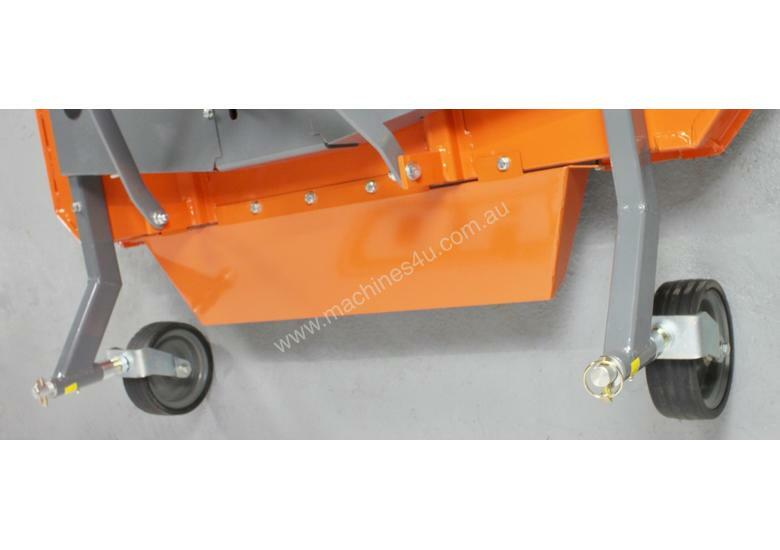 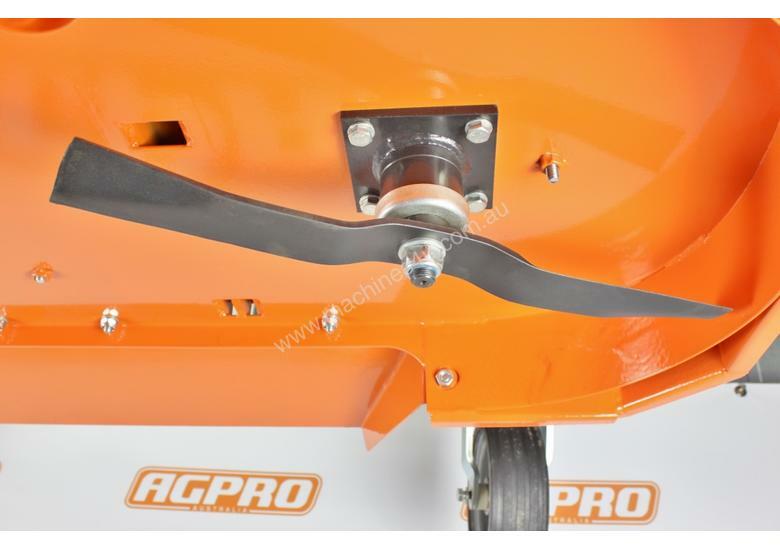 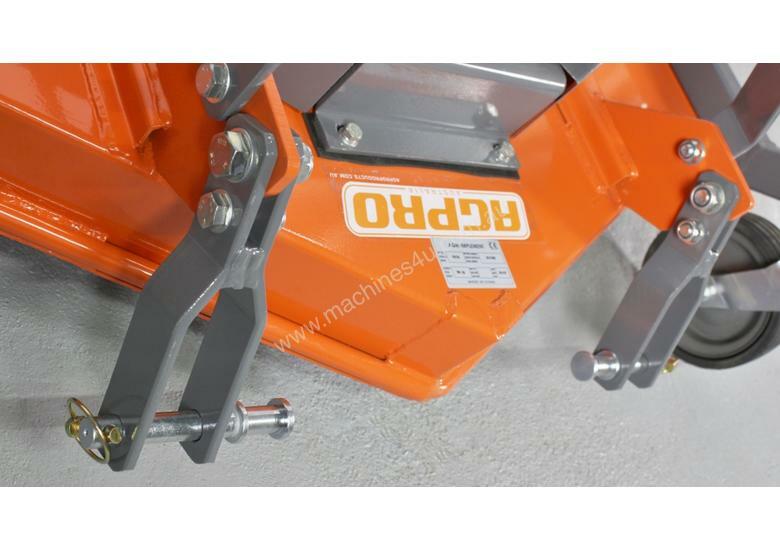 Height -	Adjustable with 4 Caster wheels - 8" x 3"
Agpro is an all Australian-owned company servicing the land owner and commercial operator, providing a large variety of tractor attachments and implements from lawn care to soil management equipment. 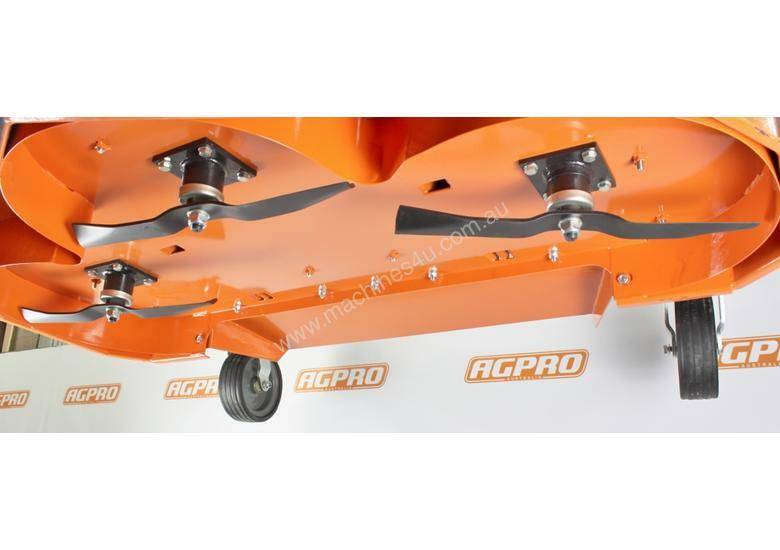 AGPRO Flail Mowers Medium, Heavy, Extra Heavy Duty Models, Verge Flail Mowers & Dual Flail Mowers.